In yet another example of aquarium fish becoming invasive species, the northern snakehead (Channa argus) has been taking over waterways in the Mid-Atlantic states and possibly beyond. 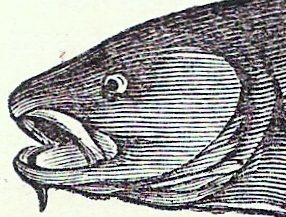 Much like invasive lionfish, snakehead is a fish worth eradicating from our waterways, but tasty enough to do it by human consumption. Lionfish could possibly be the most dangerous of all marine invasive species and needs to addressed before it's too late. But like green crabs and Asian carp, invasive lionfish may be a problem we can eat our way out of. The Green Crab R&D Project has created a free downloadable ebook with recipes for invasive European green crab.